Disclaimer: I am a population Epidemiologist and a global health generalist whose specialty, if I have one, is in assisted reproduction. However, I do have some moderate experience with epidemic infectious disease. So for more in-depth information, please seek out a true expert or infectious disease specialist. Having said that, a few friends have been emailing me to ask about the current Ebola Virus epidemic in West Africa, specifically about how concerned they should be. These friends live in Canada, the USA, the UK, and Spain. So I’ve decided to put together this brief FAQ. If you see any errors in anything I’ve listed here, do let me know in the comment section. I’ve included links in the text to some useful online resources. Do remember that I am not a medical doctor. If you require medical advice or guidance, please consult a licensed medical professional. 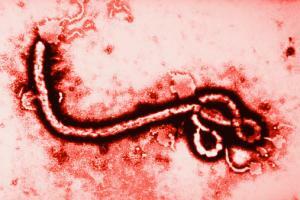 Ebola is a disease caused by a virus. It was first identified in 1976 in communities near the Ebola River (hence the name). If someone gets it, what does he experience? It’s an awful disease. It’s what we call a haemorrhagic fever, which means that it often involves bleeding through many orifices. I’m fond of telling my students that Ebola has one of the highest case fatality rates (CFR) of all modern diseases that we know of. I used to cite a 90% CFR, but recent data concerning the current outbreak in Guinea suggest that it’s down to 40% or so, due to improvements in early detection and treatment. That means that, if you contract it, there’s a 40% chance it will kill you. Some outbreaks have shown a CFR as low as 25%. A modern laboratory can diagnose it through a simple blood examination. Symptomatic diagnosis is problematic, since a lot of the symptoms (like headache and fever) are common to other diseases. Hence, there’s a suspicion that the number of cases are sometimes overestimated until laboratory exams confirm true cases. Well, at present there ain’t no treatment or vaccine. The standard treatment is to support the patient by keeping him comfortable, well hydrated, etc. Where does one get it? Short answer: Africa. 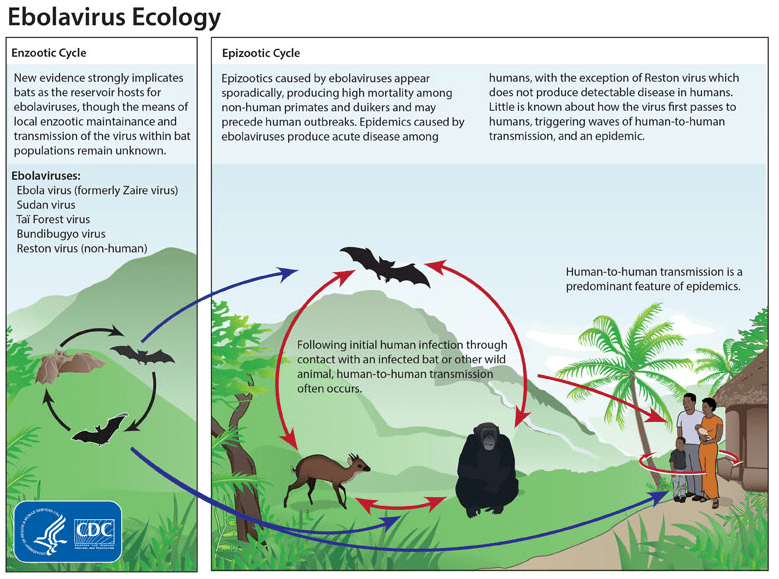 No one really knows what the natural reservoir for Ebola is, though the fruit bat is suspected. The natural reservoir is the species of animal that is home to the disease in the long term. If we knew, we could target and extinguish that species… which would either eliminate the virus or force it to find another reservoir. How does one get it? As noted, no one knows what the natural reservoir of Ebola is. But most known cases arise from people being in contact with the bodily fluids (including perspiration) of someone who has the disease and who is showing symptoms. Fluids from a deceased person are as dangerous as those of a living person. There is suspicion that many cases may have resulted from the eating of bush meat, which often includes such things as fruit bats. It’s unclear to me whether this is a proven path of transmission. There have also been reports of people getting the disease from handling infected animals, including monkeys, apes, and antelopes, either dead or alive. Yes. It seems that there is a period of somewhere between 2 and 21 days from when one is first exposed to the virus to when symptoms might appear. This is what makes people nervous in our globalized economy. It’s possible to be infected and show no symptoms, yet board a plane and be in another country before symptoms arise. Can someone be infectious during the incubation period? No. To quote the WHO, “The patients become contagious once they begin to show symptoms. They are not contagious during the incubation period.” Symptoms may appear anywhere from 2 to 21 days after exposure to ebolavirus–though 8-10 days is most common. So please do not target or marginalize travelers from Africa. The probability is very low that they are infected with Ebola. And even if they are, unless they are actively exhibiting symptoms, they are not (yet) contagious. As of today, about 800 people have been infected in the current epidemic. of those, over 600 have died. Each of those deaths is a scary tragedy. But these are not alarming numbers worthy of any sort of international panic. You should be much more concerned about Malaria, Tuberculosis, Influenza, Diabetes or even crossing the street without looking both ways. It seems that airline passengers leaving affected countries are being screened before being allowed to board. If you don’t live in West Africa, your concern level should be very low. And if you do live in West Africa, be diligent in avoiding direct contact with the bodily fluids of people not in your household. It should be noted that while this the biggest Ebola epidemic in history, there have been a few others in recent years that have resulted in cases numbering in the hundreds. There is every expectation that this epidemic will be well managed and eventually contained. When the first “wild” case is reported in your neighbourhood, it’s time to turn on the TV to see WTF is going on. By “wild” case, I mean a confirmed laboratory-diagnosed case of Ebola in someone with no obvious connection to the investigation, i.e. someone who is not a doctor studying Ebola. Even if that happens…. don’t panic. It’s probably a case of misinformation or overeager news reporting. So there you have it. Hope this has been useful.